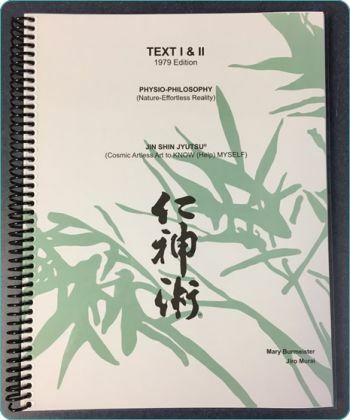 The 79 text is a combination of Mary Burmeister’s Jin Shin Jyutsu Text books 1 and 2. As its name suggests it was first published in 1979 and contains Mary’s illustrations of Jiro Murai’s original work. This book continues to be a favorite of students new and old and is often used in the Now Know Myself classes. Please email the office at info@jsjinc.com to see if you qualify for purchase; must have taken three 5 day seminars. All orders will be checked prior to shipping to assure you have taken three 5 day seminars.